A cosigner is someone, often a family member, who helps a borrower get approved for a loan, by agreeing to repay the loan if the borrower does not. A lender may require a cosigner if the borrower does not have enough income, or enough credit. If the cosigner has better credit, cosigning the loan might also help lower the interest rate. Examples: A co-signer might sign for a car loan, a mortgage, student loans, or an apartment lease. If the primary borrower fails to make a payment for any reason, the cosigner will be held liable for the missed payments. The lender can sue the cosigner for interest, late fees, and any attorney’s fees involved in collection. If the primary borrower falls on hard times financially and cannot make payments, AND the co-signer fails to make the payments, the lender may also decide to pursue garnishment of the wages of the cosigner. If there are missed payments, or the primary obligor does not make payments on time, it could hurt the credit score of the cosigner. To avoid a missed payment or late payment hurting the credit score of the cosigner, the cosigner should make sure that payments are being made on time and if the primary borrower cannot make the payment on time, the cosigner should make the payment. Cosigning can damage the relationship between the primary borrower and the cosigner. Cosigning requires a great deal of trust that the primary borrower can afford the payments on the loan and that they will make them on time for the entire length of the loan. Sometimes lenders will deny a loan if the person has too much debt. Cosigning on student loans, a car loan, or a mortgage could add a significant amount of debt for the cosigner. If the cosigner thinks that they will need to apply for a large loan soon after cosigning, the cosigner could be denied. This is something for the cosigner to consider. It is difficult to get out of a cosigned loan for student loans. If the primary borrower files bankruptcy, student loans will not be forgiven. The cosigner could become responsible for all of the payments on the primary borrower’s student loans. If the loans are forgiven by the lender, the IRS will consider the remaining loan amount “debt forgiveness income.” This means that the cosigner will have to pay taxes on the loan amount, as if the loan amount was income. Having a cosigner is helpful to the borrower. A cosigner may be necessary if the borrower does not show that they make “enough” income to secure the loan, if the borrower has bad credit, or not enough credit history, or too much debt. A cosigner’s income and credit will be considered in determining whether or not the lender approves the loan for the borrower. The cosigner might require the borrower to sign an agreement that promises that the borrower will pay the cosigner a certain amount if the cosigner fails to make payments on the loan. The cosigner should also have access to the loan account to make sure that payments are being made on time. You should plan on having open communication with the cosigner about your finances, monthly payments and any issues that might come up over the lifetime of the loan. 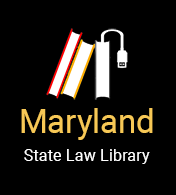 Under Maryland law, there are several words whose meanings are closely related to cosigners that you should become familiar with. These include secondary obligor, surety, and accommodation party. For example, after graduating from college, Alice needs a car to get to her job, but because this is her first job and she is young, Alice does not have income history and a good credit history. Alice cannot find a bank that will lend her the money to buy a car. Alice asks her Uncle Bob to co-sign the loan because Uncle Bob has great credit. With Uncle Bob, the loan is approved! Alice is the primary obligor and Bob is the secondary obligor. If Alice doesn’t make the monthly payment on the loan, Bob will be responsible for making the payments. After two years, Alice loses her job and stops making the monthly payments on her new car, Uncle Bob will be required to start making the payments. As the surety, Uncle Bob is allowed to bring a lawsuit against Alice to get a judgment. If the judgment is approved, instead of paying back the lender, Alice will have to start paying Uncle Bob. In the example, Alice is the accommodated party because she receives the benefit – she gets to drive her new car. Uncle Bob is the accommodation party because he doesn’t get any benefit – he doesn’t drive the new car. A surety signs in addition to the primary obligor while the accommodation party signs in place of the primary obligor. Joel Hutman and Kathleen Seifert, Maryland Volunteer Lawyers Service. Updated by Justin Cummings, MVLS.